The 17-Mile Drive is one of the most scenic drives in the world and definitely the most beautiful stretch of coast of the Monterey Peninsula. The road runs through Pacific Grove to Pebble Beach, from the dramatic Pacific coastline to the majestic Del Monte Forest. 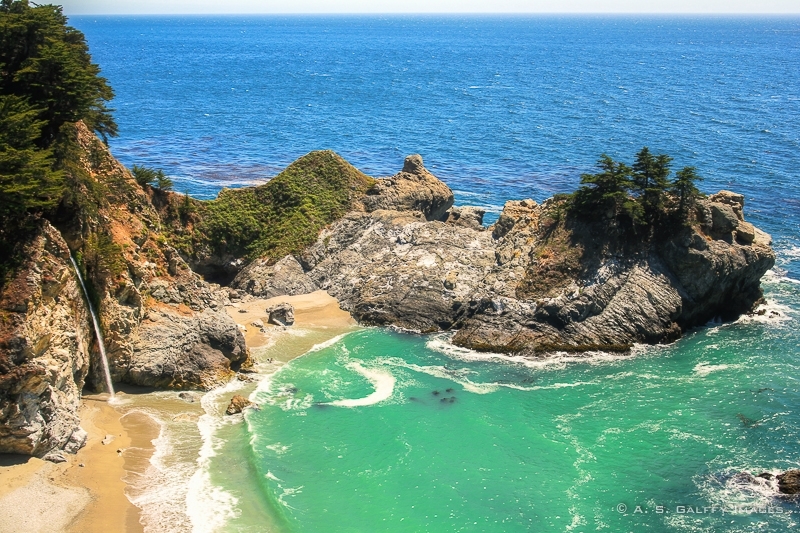 California’s best-known landmarks, Bird Rock, Spanish Bay and other points of interest located here. This shoreline is heavily populated with California Sea Lions. During the Sea Lions’ birthing season, portions of the shoreline are protected with fences from visitor intrusion. For miles and miles, you can see the baby seals and their mothers laying down on the sandy beaches. No visit to the beautiful Monterey Peninsula is complete without a rendezvous with Cannery Row and the Monterey Aquarium. Cannery Row is the site of a number of now-closed sardine canning factories, hence the name Cannery Row. The last cannery closed in 1973. Located on the site of a former cannery, at the ocean’s edge, is the Monterey Bay Aquarium – the 6th largest one in the world. 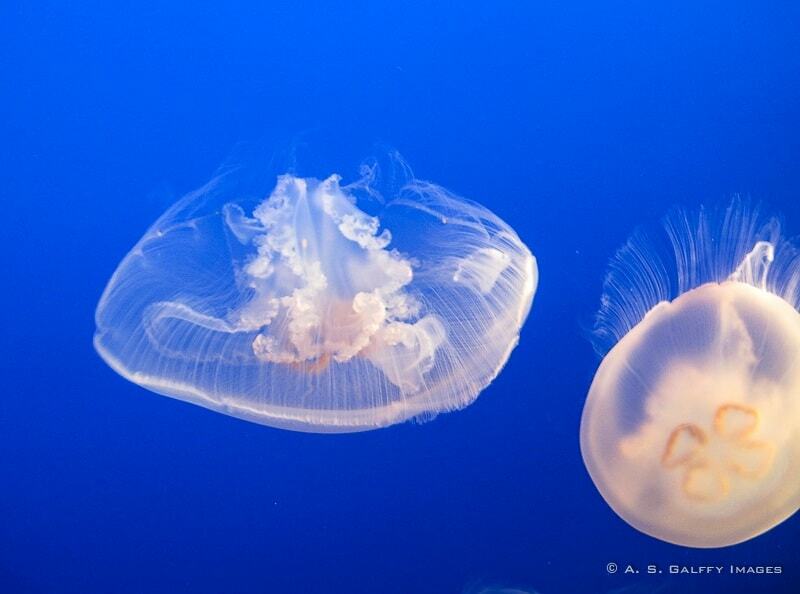 The aquarium is home to sea otters, penguins, sharks, stingrays, jellyfish and numerous other native marine species. The aquarium has tanks which can be viewed both above and below the waterline. 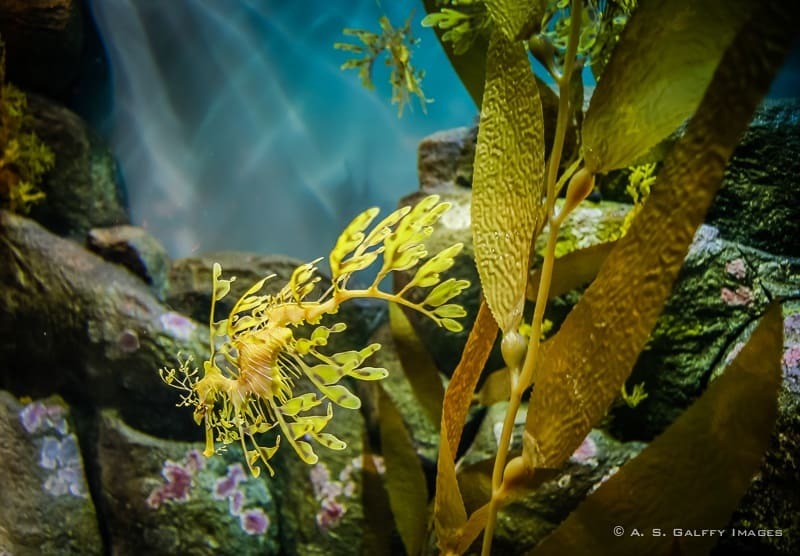 The centerpiece of the aquarium displays a 28-foot-high tank for viewing California coastal marine life and a Kelp Forest exhibit –the first exhibit in the world to include a living kelp forest. The Fisherman’s Wharf was built by the Pacific Coast Steamship Company in 1870, for the loading and unloading of passengers and other goods. Today, the area is lined with seafood restaurants ranging from casual, open-air bars, to formal dining with views of the bay. Fisherman’s Wharf is one of the few areas in Monterey that sells souvenirs, so you’ll find a great array of gift shops, jewelry stores, art galleries, and candy shops. If you are into nautical, just across from the touristy Fishermans Wharf there is the Maritime Museum. 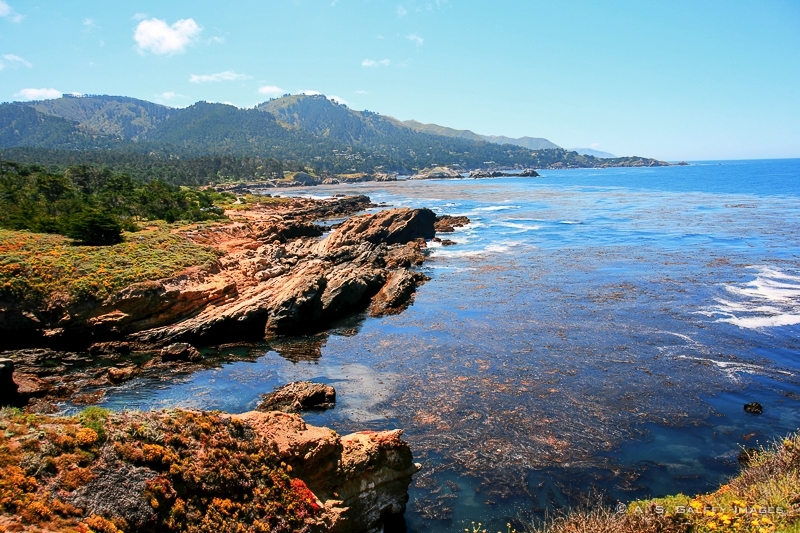 The 17-Mile Drive drive ends in the idilic town of Carmel-by-the-Sea, simply know as Carmel. Nested above a picture-perfect sand beach, this one-square mile European-style village was rated one of the top-10 destination in the U.S. For many years. Carmel has been the gathering place for many musicians, writers and painters. The area around the main street is a mixture of art galleries, boutiques, shops and fine restaurants that draws hundreds of tourists every day of the year. The town’s architecture is a blend of charming small beach houses, rustic cottages, log cabins and breathtaking modern see-through glass homes, with a very high real estate value. 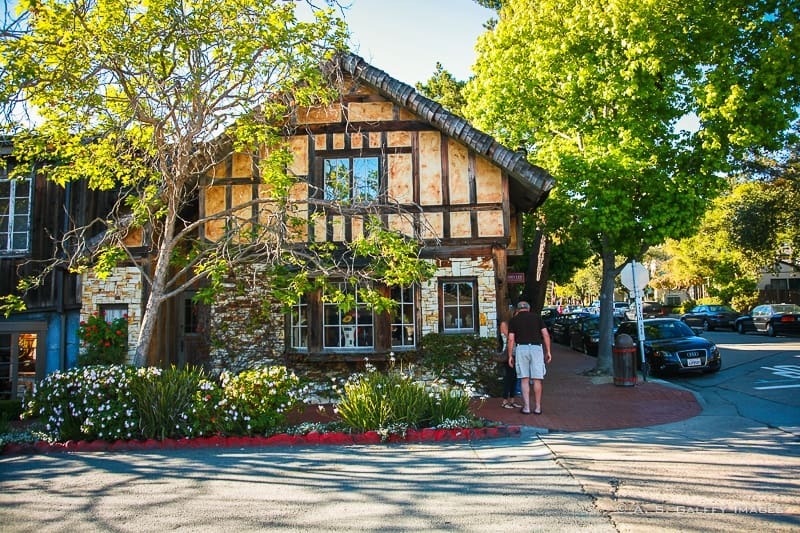 The cheapest cottage in Carmel is close to 1 million dollars. 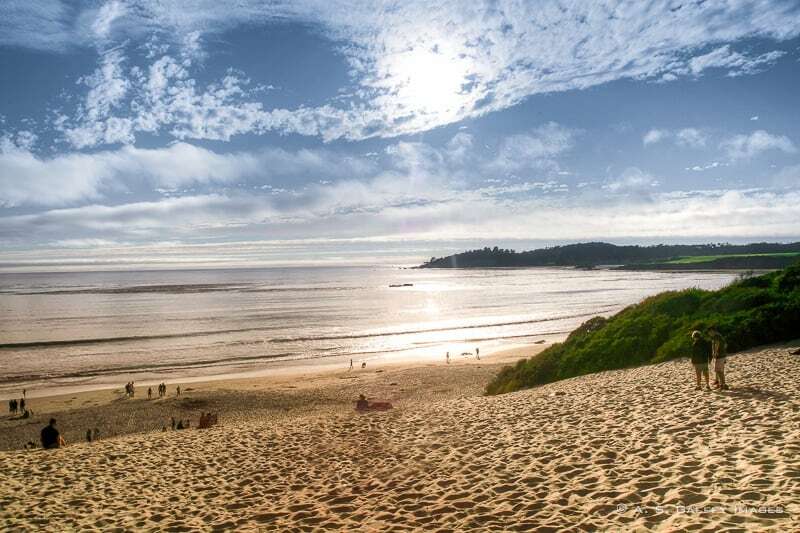 You could easily spend two-three days in this lovely beach town, but if you don’t have much time you should stop for at least an afternoon in Carmel-by-sea. There are no street addresses or mail boxes in Carmel. Residents pick up their mail at the Post Office. Addresses are identified by cross streets or by the legendary names adorning most houses, like “Fables”, or “The Tuck Box”. Those seeking directions receive hints, such as “the green house on the east side of such-and-such street”. Actor Clint Eastwood was mayor of Carmel for one term, between 1986-1988, and never sought reelection. There are no fast food or chain restaurants in Carmel, so if you crave a caramel frappuccino from Starbucks you’ll have to drive to Monterey for one. You need a permit to wear high heels in Carmel. Yes, it’s true. The municipal code of Carmel bans wearing shoes having heels more than 2 inches in height unless the wearer has obtained a permit for them. While the local police will not cite you for violating this ordinance, you can’t sue the city if you trip and fall on the street. The law was voted in the 1920s to defend the city from such lawsuits. Carmel is a Dog Lover’s Paradise and was rated #1 Dog Friendly town in America. Here dogs have access anywhere (hotels, shops, restaurants, beaches) and get VIP treatment, such as massages, surf lessons, yappy hour, doggie room service menus, and outdoor showers. San Carlos Borromeo de Carmelo Mission, also known as Carmel Mission, is the second of the 21 Roman Catholic missions built in California. It was named for Carlo Borromeo, Archbishop of Milan. The original mission was first established near Monterey and later moved to Carmel-by-the-Sea. Mission Carmel, as it came to be known, was founded in 1770 by Father Junipero Serra, a Spanish Franciscan friar who founded nine other missions in California. Carmel was his favorite mission and he used it as his headquarters until his death in 1784. He was buried here, beneath the chapel floor. 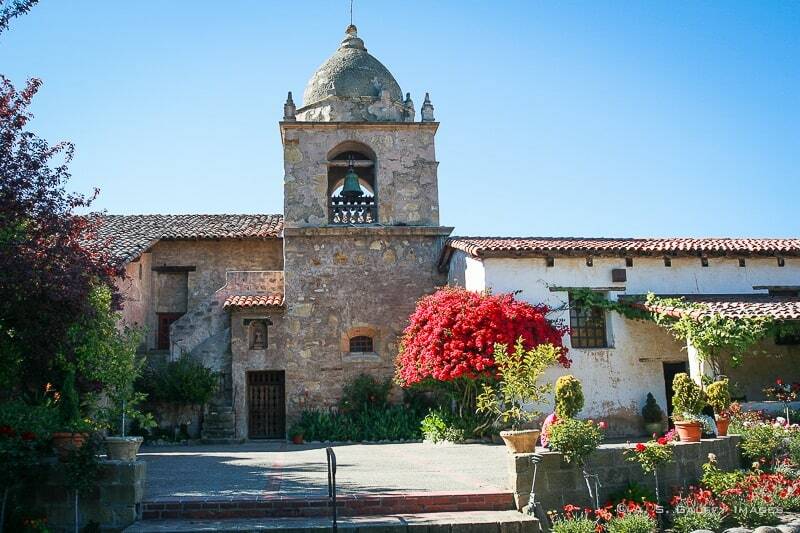 Carmel Mission is considered the most authentically restored Franciscan mission. The Mission’s courtyard and gardens are peaceful places to meditate or rest. There are also four museum galleries that give insight into the history of both the Monterey Peninsula and all of the California Missions. There is a small admission fee to access the mission and the grounds. 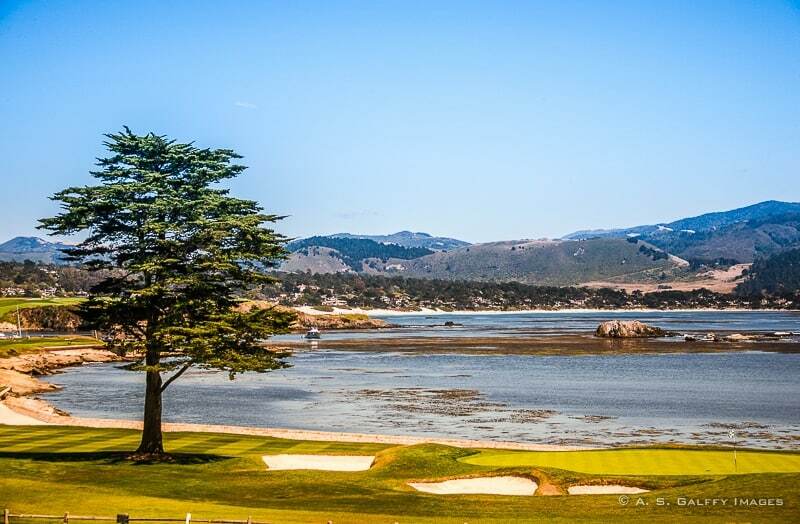 The Monterey Peninsula is a world-renown golf capital with 26 public and private courses. Three of the nation’s top ten courses are located in Pebble Beach—Spyglass, Poppy Hills and Pebble Beach itself. The 18-hole Pebble Beach Golf Course features 6,828 yards of golf. The rates range from $350-$400 per 18-hole round. 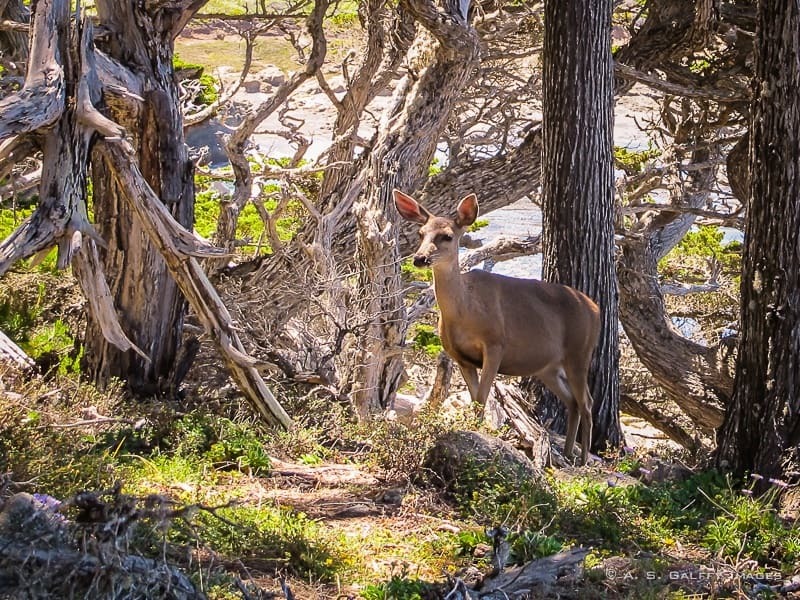 Point Lobos is nature at its best. Named after the rocks at Punta de los Lobos Marinos (Point of the Sea Wolves), the Point Lobos State Natural Reserve is considered “the crown jewel” of the state parks in California. The reserve’s fascinating wildlife and breathtaking beauty has made it a mecca for nature lovers and visitors from all around the world. Located just a couple of miles south of Carmel, the reserve hosts a geologic wonder: a rock formation that dates back to the Paleocene age (over 60 million years old). 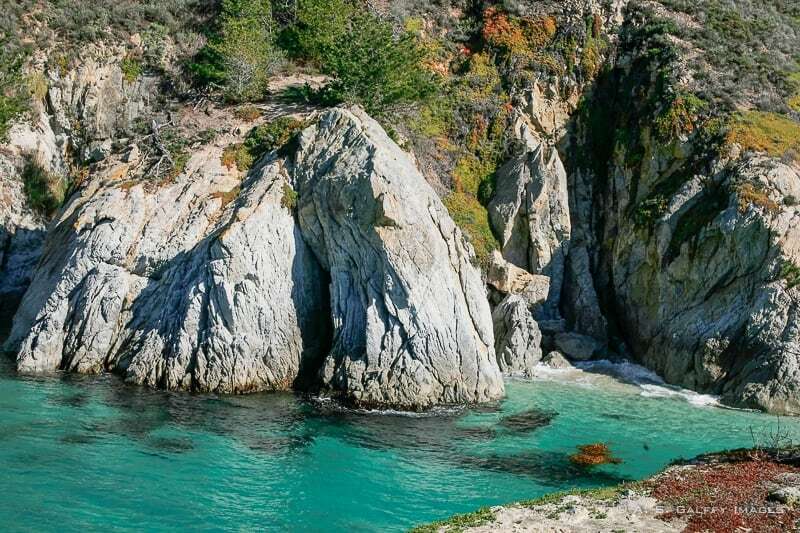 You can easily spend a day here, wandering through the beautiful coves, snorkeling or diving in the crystal-clear water, watching the birds, harbor seals, elephant seals, sea otters or orcas, hiking the beautiful trails. You can even spot gray foxes, raccoons, opossums, deer, rabbits, bobcats and coyotes. 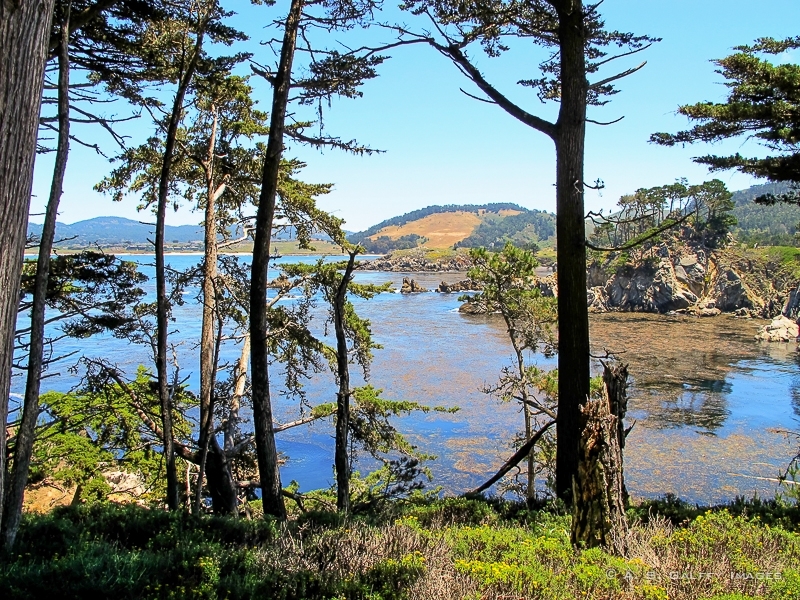 Point Lobos is the ideal place for painting and photography. A real paradise! Pets are not allowed in the state preserve. Stay on trails. The cliffs can crumble unexpectedly, the waves sneak up on you. Don’t disturb wildlife. Seals look very cute but they may be very aggressive. Diving is permitted only at Whalers and Bluefish Coves. You can get permission to dive at the entrance, but you’ll need reservations, especially for weekends and holidays. You can attempt to snorkel in other coves, but strong currents may drag you in, so exercise extreme care. The restrooms at Point Lobos are very far apart, so use them ahead of time. Don’t wait until it’s imperative to use one. Dress appropriately: hiking shoes, comfortable cloths. Always carry a light jacket with you, even during summer months. Temperatures on the Northern Central Coast of California are never high. Bring some food and water. There are no food vendors in the park. 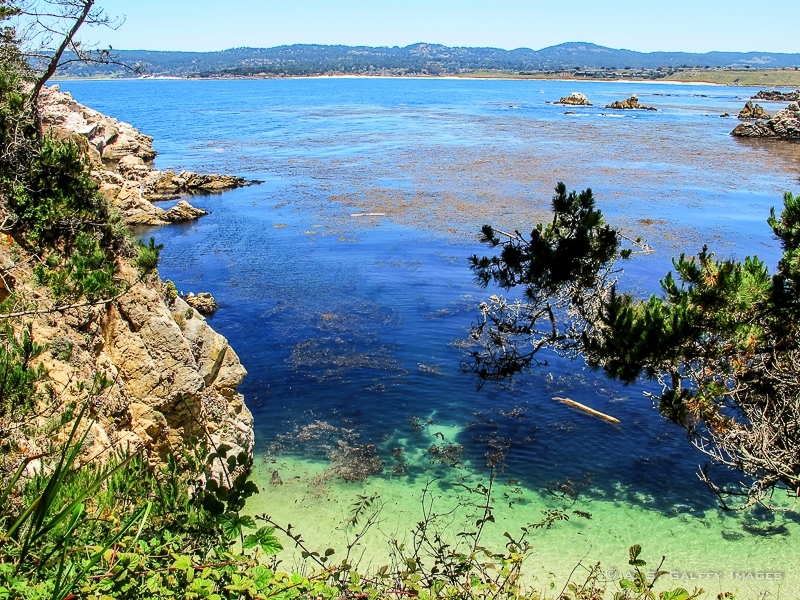 Parking is limited to 150 vehicles at Point Lobos and the spots fill fast. Try to come early or you may wait in line to enter on a one-vehicle-out, one-vehicle-in basis. 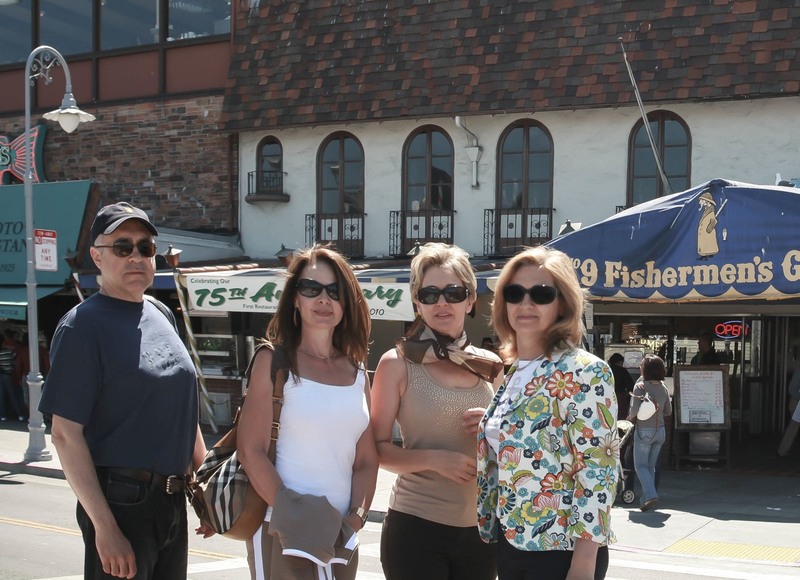 Monterey is good place to visit with family as well as your buddies. I have been there for twice and both the time I visited all the attraction you mentioned and It was lot of fun. Also we can visit motorcycle racing, Museum of Monterey and many more. It's a beautiful area with a lot of attractions, Lisa, I agree. As a certified diver, I've wanted to visit the Monterey Aquarium for a long time. I had heard of some of the other attractions you mentioned as well but didn't realize that they are all so close to each other. How much time would you recommend for full appreciation? I didn't know you like diving, Linda. My husband is a diver, but I just snorkel. 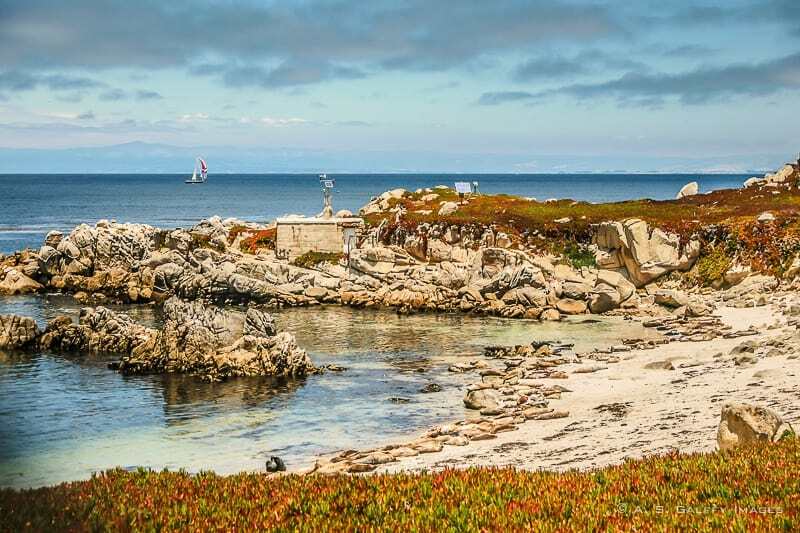 The attractions on the Monterey Peninsula are very close to each other, so if you plan to visit you could stay in Carmel and give yourself 3-4 days. San Francisco is also about an hour and 15 minutes away, so you may take more time and include that in your visit too. I've been to the aquarium, it's awesome! Northern California would be one of my favorite places ever if it wasn't cold! A little cold is good once in a while. Love this! Definitely a couple places I haven't been yet and can't wait for my next trip down to explore. If you haven't already I recommend exploring around Pacific Grove. It's my favorite of the town on the peninsula. Especially if you stop for dinner at Fandangos. Northern California is so beautiful! I'm from Seattle, but I've barely seen any of it. I really need to explore more of my backyard. 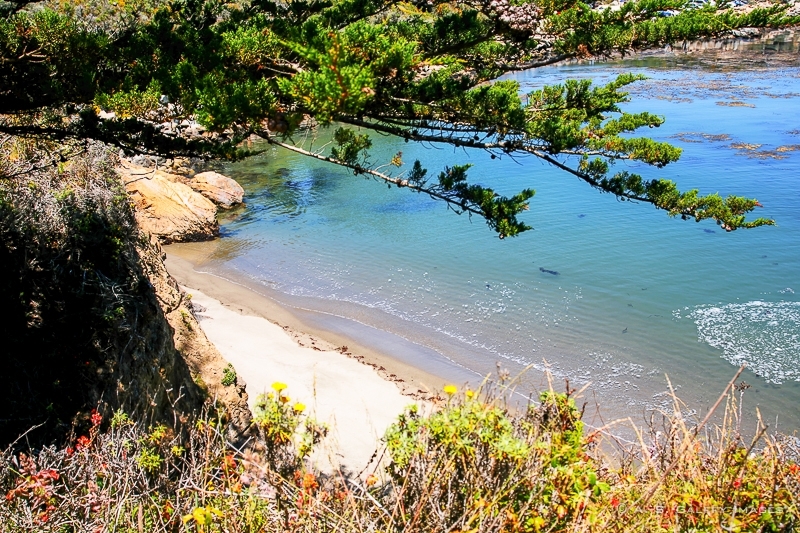 These places look idyllic, especially Carmel! 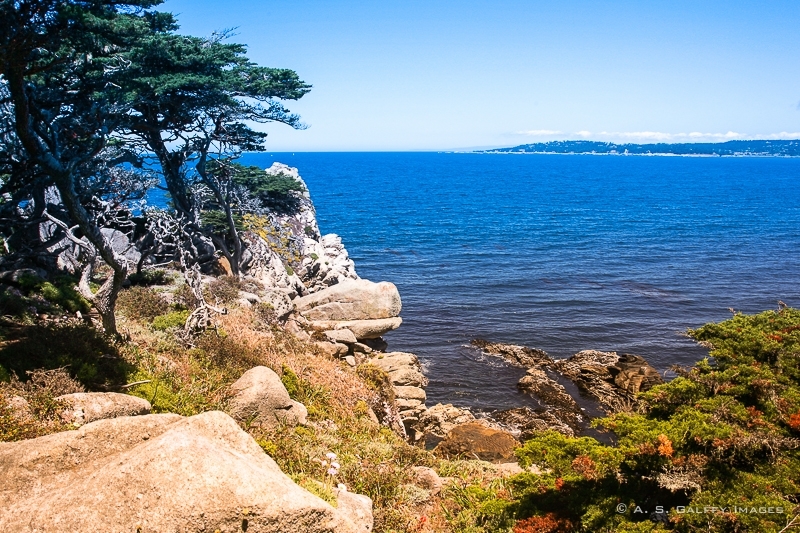 How long do you think is needed for a trip to the Monterey Peninsula? You need a minimum of 3 days to explore the Monterey Peninsula, Emma. Yea, I agree, Megan. You can get a lot done in a day. You can't but fall in love with this place, Samiya, you are right. When we visited Monterrey (and that whole area) I was blown away by how gorgeous it was, and fell in love with the otters! I would love to go again. A glorious place and, as you write, with the most marvellous aquarium too. 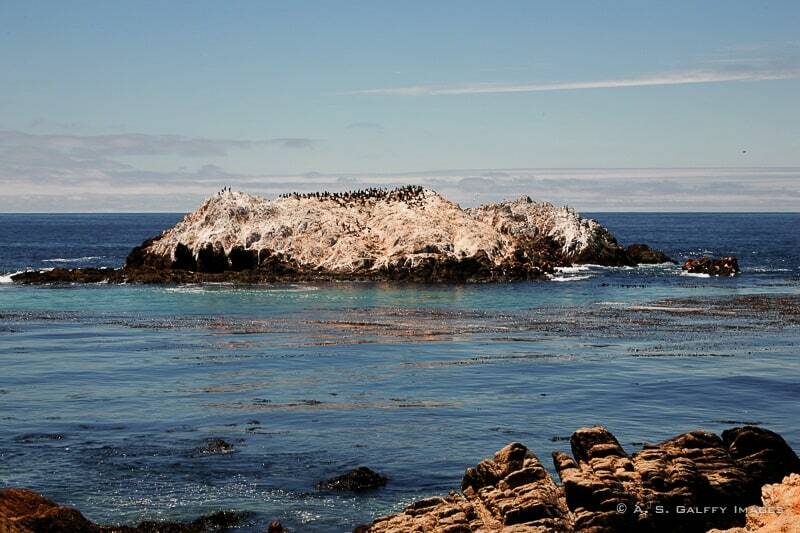 Did you visit Monterey Peninsula with your children, Sarah? If not, you should definitely come back. 17 miles and Carmel by the sea was stunning, we can't wait to go back and visit. The place is magical! And very tourist friendly! Keep this as a secret! Only you being discrete and the ice cold waters of the ocean keep this place from becoming too crowded!